MedicalResearch.com: What readers take away from your report? Drinking coffee may be associated with decreased risk of stroke, heart failure, and coronary heart disease. 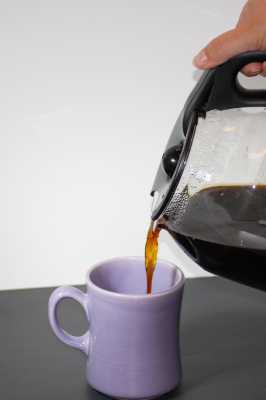 Response: The presence of the association between CVD and coffee consumption in these 3 large studies may prompt further investigation into this association, particularly given the ubiquity of coffee consumption and coffee culture in today’s society. We plan to continue validate these findings with other data in the Precision Medicine Platform (precision.heart.org), and we intend to use these initial findings and the same type of analysis to determine if compounds like caffeine may explain the reduction in risk (for example tea consumption vs. coffee consumption). Additionally we plan to use the same type of analysis to find potential behaviors and habits around the associations found in this research. Ultimately, our key goals are to determine whether coffee consumption is a clinically useful part of CVD risk assessment and whether changing coffee or caffeine consumption may be a way of altering CVD risk. This entry was posted in Author Interviews, Coffee, Heart Disease, Red Meat, Stroke and tagged AHA17, AI, coffee, heart disease by Marie Benz MD FAAD. Bookmark the permalink.